about usBaoji Biyoute Materials Co.,Ltd. 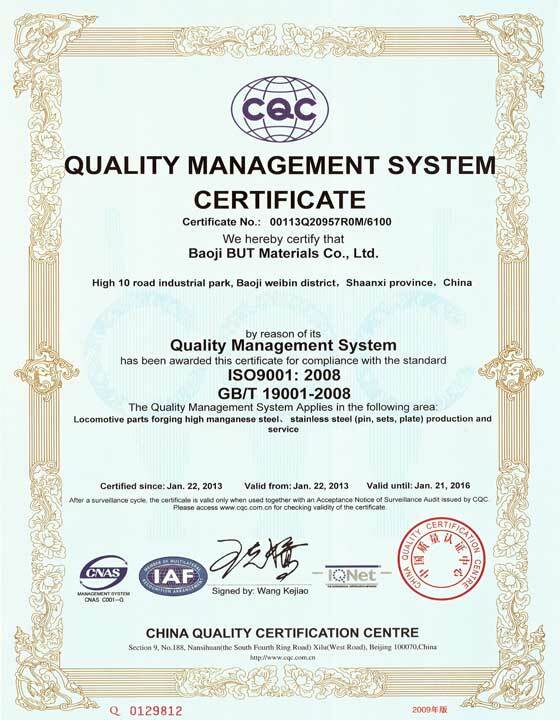 Baoji Biyoute Material Co., Ltd. is a professional enterprise integrating R&D, production (manufacturing) and sales of forging high manganese steel and products. 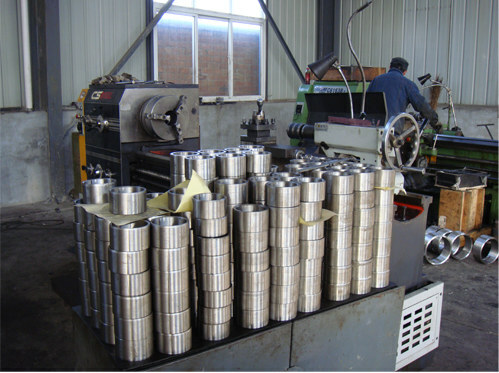 It is the only producer of forging high manganese steel pins, bushings and boards designated by the Ministry of Railways. types,namely Mn12 series high manganese steel (referred to as Forged X120Mn12) and Mn13 series high manganese steel (referred to as Forged Mn18) . Compared with the high manganese steel castings (GX120Mn12), the high manganese steel forgings (Forging-X120Mn12) possess the significantly improved tensile strength, elongation, impact toughness and wear resistance. The manganese steel forging pins, bushings and boards processed with Forging-X120Mn12 materials have excellent performances and can meet special requirement of harsh working conditions, frequent vibration and impacts, poor lubrication and wear severe. It requires wear parts to have high breaking strength, abrasion resistance, heat resistance (especially low-temperature strength) and low maintenance. We, in the area of high-manganese steel materials, adhere to the technology development ideas of "one generation of production, one generation of R&D and one generation of conception", rely on universities, higher educational institutions and military enterprises, with constantly increased R&D investment, establish the independent intellectual property rights system and strengthen our company's core competence in the high manganese steel forging process and high manganese steel processing technology to achieve further development of the wear parts like Forging-X120Mn12 shafts, bushing and boards, striving to make our products maintain the international advanced level. The company upholds the business philosophy of "good faith and constant innovation, strive for excellence and customer satisfaction", aiming to continuously improve the working efficiency and economic benefit of customers equipment, offering excellent and efficient products through advanced technology, standardized operation and good services, creating values with customers. 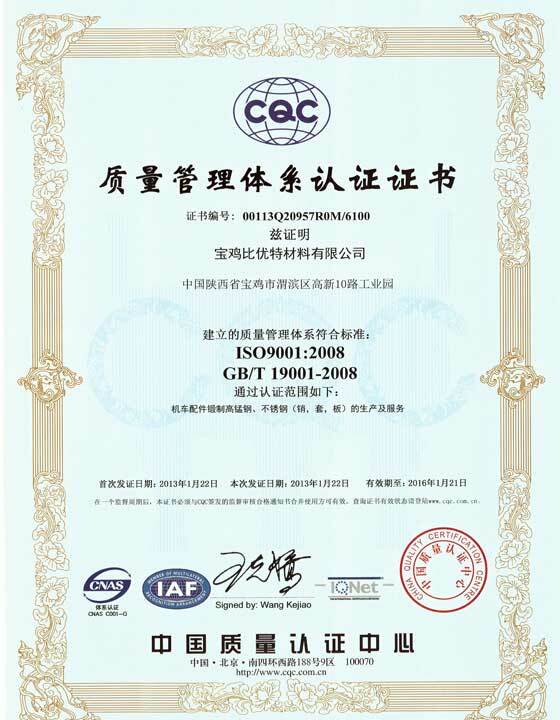 The company secured ISO 9001: 2008 certification. 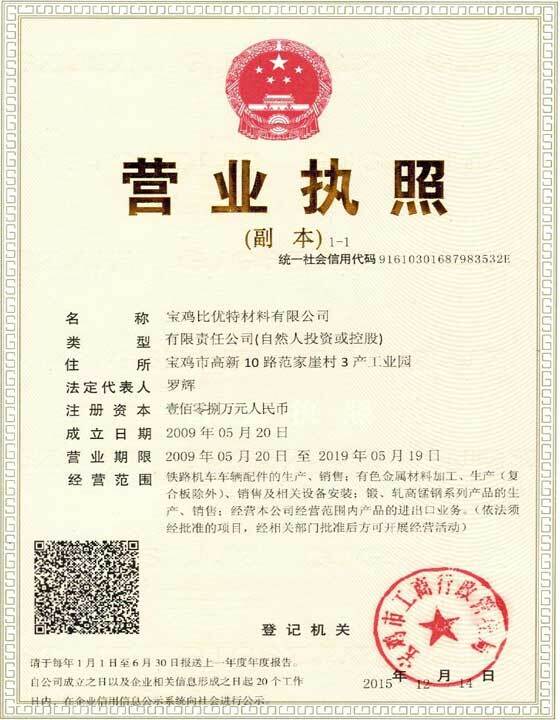 Founded Henan Biyoute Wear-Resistant Material Co., Ltd. with the recording of NDRC enterprise investment project.